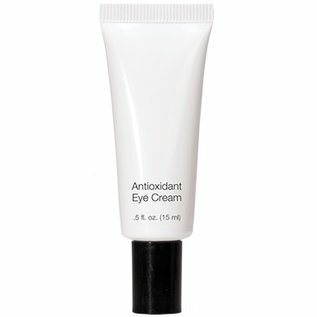 Skincare Antioxidant Eye Cream - AKA Vital Eye Cream - Carol Thompson Images, Inc.
What It Is Rich, moisturizing, protective eye treatment. Nourishes, softens and strengthens skin, and helps reduce undereye darkness. Helps protect the fragile eye area against free radical damage. Softens and improves skin texture and helps bind moisture to cells, to alleviates dehydration and comfort the delicate, sensitive eye area. Fragrance-free, paraben-free. What's Inside Shea Butter smoothes fine lines and wrinkles. Squalane hydrates and softens the skin Comfrey, Allantoin & Calendula Extracts comfort and protect delicate eye tissue from irritation. Aloe Vera, Sodium Hyaluronate & Sodium PCA moisturize and hydrate skin. How To Use AM/PM. Using ring finger, gently apply around the eye area. Water (Aqua), Cetearyl Ethylhexanoate, Squalane, Glycerin, Ceratonia Siliqua Gum, Butyrospermum Parkii (Shea) Butter, Isocetyl Stearoyl Stearate, Butylene Glycol, Caprylic/Capric Triglyceride, Cetyl Alcohol, Cyclopenta- siloxane, Cyclohexasiloxane, Glyceryl Acrylate/Acrylic Acid Copolymer, Sodium PCA, Aloe Barbadensis Leaf Extract, Chamomilla Recutita (Matricaria) Flower Extract, Rosa Canina Fruit Extract, Cucumis Sativus (Cucumber) Fruit Extract, Symphytum Officinale Leaf Extract, Calendula Officinalis Flower Extract, Tocopheryl Acetate, Retinyl Palmitate, Ascorbyl Palmitate, Sodium Hyaluronate, Hydrolyzed Glycosaminoglycans, Panthenol, Allantoin, Dimethicone, Acrylates/ C10-30 Alkyl Acrylate Crosspolymer, Triethanolamine, Butylene Glycol, Disodium EDTA, Phenoxyethanol, Chlorphenesin, Benzoic Acid, Sorbic Acid, Green 3 (CI 42053), Yellow 5 (CI 19140).